This trip was a “gelukkie” or – a little bit of luck – in English. Some friends were going away and they offered us the use of their home in Riebeek Kasteel. I suspect the main reason was to give their much-loved pets a bit of company. They have four dogs and three cats. Although a house-keeper feeds them daily and they get taken on regular walks, it’s not company. We could certainly help out. Plus, my other half and I welcomed a chance to have some down-time away from home and responsibilities. And to be in such a beautiful part of the world was a bonus. 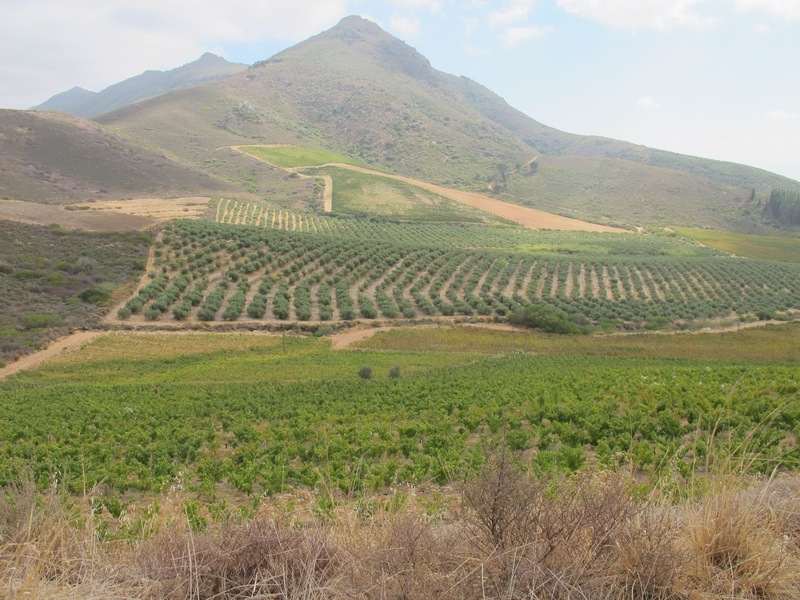 Riebeek Kasteel is 1/3 of a trio of small villages along with Riebeek West and Hermon nestled close together in what’s known as Riebeek Valley. 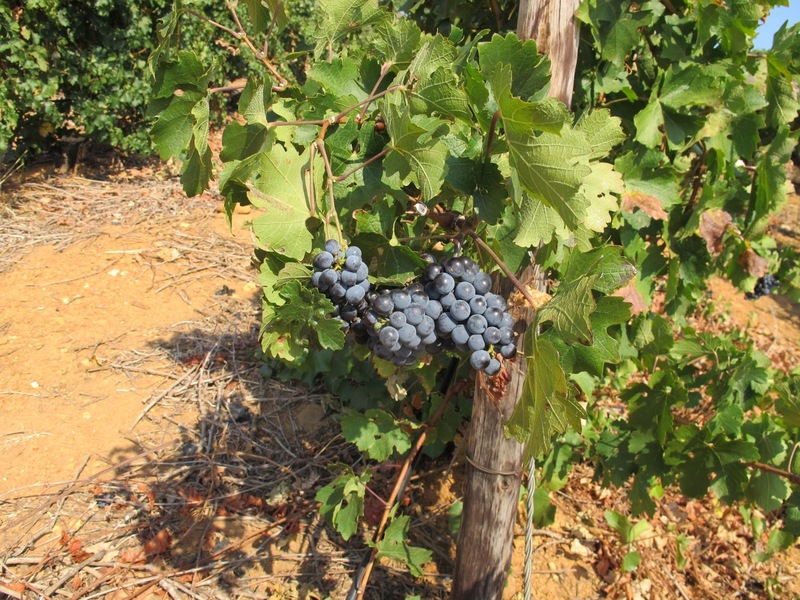 Riebeek Kasteel is named after Jan Van Riebeek the 17th century Dutch founder of the Cape. Jan Van Riebeek sent Pieter Cruythoff on an exploration into the area in 1661. Riebeek Kasteel is one of the oldest towns in South Africa. Kasteel means castle and the majestic mountains nearby are called Kasteelberg or Castle Mountain. The Riebeek Valley attracts the type residents who strive to preserve and restore the architecture, heritage and ambience of the area. It’s a place where folk retire or creative people flock in their droves to eat good food, grow great wines or olives, make beautiful things and live well – away from the stresses of big-city life. It’s a safe and open minded community. We like that. Riebeek West and Riebeek Kasteel are close together and would have been one village were it not for a dispute over where to build the local church. The dispute was never resolved and two villages formed right next to each other. With two separate churches. The circumference of Riebeek Kasteel is just under 4 kilometres which means you can hear the church bells ring out the time of day and night within the town. Reminiscent of French villages. You can also hear roosters crowing in the morning. We took the dogs for a late afternoon walk every day. It’s a great way to explore this not exactly big place. We got to see beautiful Cape Dutch style homes – old and new. And the odd Tuscan “themed” home! Sigh. Tuscan homes are a bit of an obsession in South Africa with the nouveaux riche. Such a pity when we have beautiful authentic architecture to draw from. People grow olives, figs, lemons, pomegranates, prickly pears, quinces, avocados, dates and I even saw amatungulus growing in a garden. What is an amatungulus you may ask? It’s a type of plum native to South Africa that has a thick white sap. The house we stayed in is a 60’s home restored to fit the area. It’s been redecorated with an open plan kitchen and lots of access to outdoors and light. The decor is fresh and modern with a slightly Zen feel. Think stainless steel kitchen counter tops, natural stone mosaic tiles, discretely placed Buddhas and lots of votive candles scattered about. Fortunately Riebeek Kasteel is just over an hours drive from Cape Town (about 80 kilometres) on the N7 past Malmesbury. Many residents are willing to make the commute so they can live in Riebeek Kasteel. Others keep a second home in the village. Which means week-days are quieter. However come week-ends things perk up. A lot. You will be surprised at how many bars and eateries exist in Riebeek Kasteel. And how full they are. For a population of around 3000 – this town can buzz. The pets made our break that much more for us. Each animal has such a distinct personality. Starting with the dogs, Dog One doesn’t just wag his tail, he wags his entire body and head in different directions like a slinky. 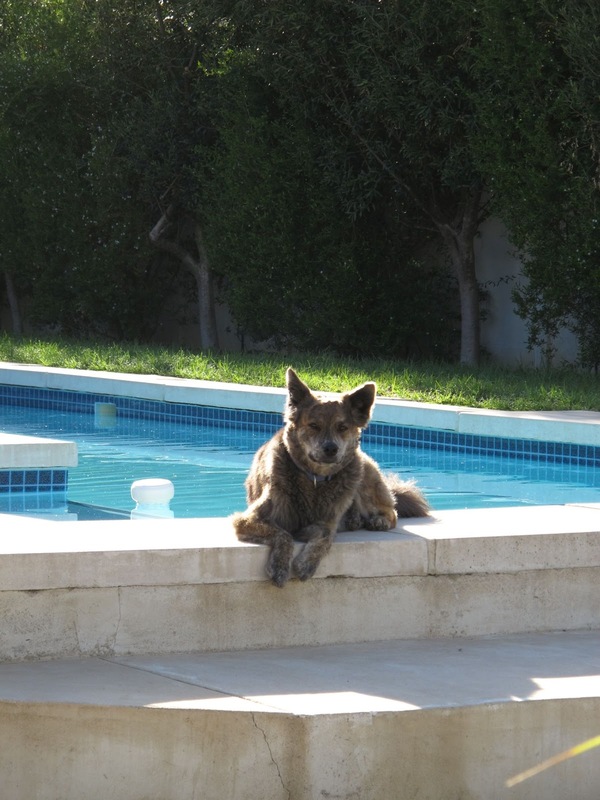 Dog Two loves the pool. He suffers from FOMO. We had to make sure his leash went on first so he was assured of going on a walk or he would get most upset. Dog Three is a strong dog. She took me for a walks. She also thinks she is a small dog and can fit on the bed. She’s not. Dog Four is old. Not so keen on going for walks. The matriarch of the group. Guess who slept on the bed? 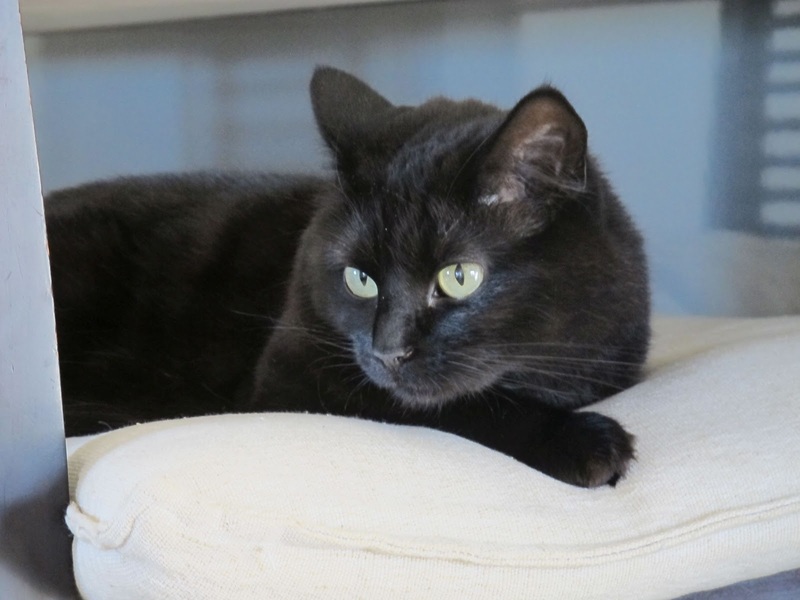 And then the cats – Cat One spends most of his days in a vacant lot nearby and comes home to eat. He doesn’t like dogs. But he NEVER missed a meal. If he wasn’t on time, he would actually grab me to make sure I fed him. His carbon copy Cat Two eats, sleeps and lives on the kitchen counter. She drinks water from a glass – not a bowl. Cat Three moves about four times a day. Twice to eat brekka and supper. And maybe twice more to shift from sleeping on the dresser to sleeping on the bed and back again. Ah the life of such adored animals! Read Part 2 of this holiday – on this link. We were invited by some friends to make up a party for a three day hike. Organisers tailor the walk to suit your available time and budget. Our party went for that particular organiser’s Silver option. The package included a full time guide, all meals plus snacks and comfortable accommodation. Our friends who arranged it opted for slack-packing, so we didn’t have to carry anything other than a small back-pack with water, a swimming costume, our snacks and sunscreen. organisers usually focus on South African cuisine but agreed to 50% vegan catering for us. More on that later. We all drove down individually to Mossel Bay which is at the start of the Garden Route and met at a plush guest house called Ana’s Place. My other half and I got there last. We found the others enjoying complementary drinks and snacks on a wide balcony overlooking the bay. Serious views. They made a booking at a local restaurant for our evening meal. After a quick freshen up, we walked down to the main town and found our eatery. The food wasn’t bad. I don’t expect to enjoy eating out with my meat free diet. And I don’t ever expect vegan food at a restaurant. They actually had a few vegan meals on the menu. night but my other half and I got some sleep. Next morning the organisers collected our luggage and moved it to our new accommodation at Sandpiper Cottages in Boggomsbaai. We walked to the local hotel and had breakfast in the restaurant which is right on the rocks next to the sea. Vegans don’t do dairy or eggs and our guide soon discovered we weren’t properly catered for. Much frantic conferring with the organisers happened and profuse apologies ensued. Luckily the person who made our snack-packs was clued up. kilometres. We could have included a talk by archaeologist Dr Peter Nilssen at Pinnacle Point but decided against it. Can’t remember why, and with hindsight, I wish we had included the extra walk/talk. We finished our first day at Dana Bay where we were collected and taken to our cottages. This holiday continues – here. This was the first South African break we had taken in a while, 2013 was a helluva year for us. We bought a boat in 2012 in The Netherlands and had to sort out a whole bunch of stuff. We made the decision to scale back and let go of our house. It was far too big for the two of us. Which meant we had to de-clutter, fix up, sell, pack up, store and find another home. And once we found another home, of course our furniture no longer fitted, our new home needed some fixing up and phew! At one point I was homeless. At another point I was living in our empty house surrounded by boxes. Our new lock up and go home meant we could pop off for a weekend breaks. Yay! We get to see a lot of Europe but we want to see more of South Africa. Everyone ALWAYS raves about a little town in the Klein Karoo called Mc Gregor. I’ve been past the place, but am ashamed to say, never been there. We booked a long weekend at one of the self catering cottages managed by Fountain Place. And looked forward to a break. can hike in the Krans or Vrolijkheid Nature Reserves, go 4 x 4-ing on the Groot Toren trail or try your hand at mountain biking on one of many biking routes. The helpful people at the Tourism Office will ply you with brochures and issue permits if required. Excelsior or have a picnic on a river boat at Viljoensdrift. for permission to start a village on his farm, he was most likely the owner a few years prior. No one is sure why he wanted the village, possibly because he wanted shops and provisions closer as Cape Town is almost 200 kilometres away. referred to as “Mc Gregor’s Parish” after a much loved Scottish minister who regularly visited the area. It was eventually decided to formally name the village after Reverend Andrew Mc Gregor. A few Mc Gregors lived in the area. The chap who ran the mill and his brother who made whip stocks both lived at the top of Long Street back then. The Mc Gregors came from the West Scottish Highlands. An authentic King James bible can be seen at the museum at inside Tourism Office with what is believed to be Rob Roy Mc Gregor’s signature. By 1919 the population of Mc Gregor was 1000. A century later that figure doubled. That’s hardly a lot of people. And that is exactly what attracts people to Mc Gregor. They say it lies on the road to nowhere. People come to Mc Gregor to get away from it all. The sort of people who live in Mc Gregor are artists, writers, musicians, healers, yoga and pilates instructors, carpenters, garagistes (garage wine makers), artisan food makers, etc . . Some say Mc Gregor is built on top of ley lines. What are ley lines? Apparently mystical alignments of land forms. It certainly is a peaceful and crime free community. we could obtain fresh produce. The lady at the Tourism Office kindly gave us the local fresh organic producers contact details. else and certainly nothing vegan. Every salad had meat. Gave up and went back to Mc Gregor and found a vegan burger at Tabaldi’s Restaurant Temenos. Hoped to see the special garden and shrines, but no such luck. Temenos was having an “international detox” and locals weren’t able to see their famous gardens. Came home and did our own yoga workout and baked a bunch of the organic veggies we bought earlier. Read Part 2 – on this link. I have been vegetarian for well over three decades now. Most of my life. As much as I love travelling, it’s simply not an option for me to eat meat. Some places and cuisines are much easier for me and fellow vegetarians to find good food. Others are not. Mediterranean, Middle Eastern, Chinese and Indian food are usually best to find something to eat. Western and Eastern European foods are not good. They even put meat into salads and soups and ruin it for us vegetarians. Why is fresh, healthy, plant based food so limited in availability. Anyone read The China Study? It’s a hellava book but there are plenty of summaries to be read on the Internet. The conclusion is that a diet high in fruit and vegetable foods reduces our risk of all major causes of disease and death. You will find similar information coming from the various heart foundations, diabetes societies and the cancer associations. Again I ask, why is it sooo hard to find nutritious food on the go? But fear not. I have put together some of the best places to find yummy tasty vegetarian food in central Cape Town. Starting with food markets. 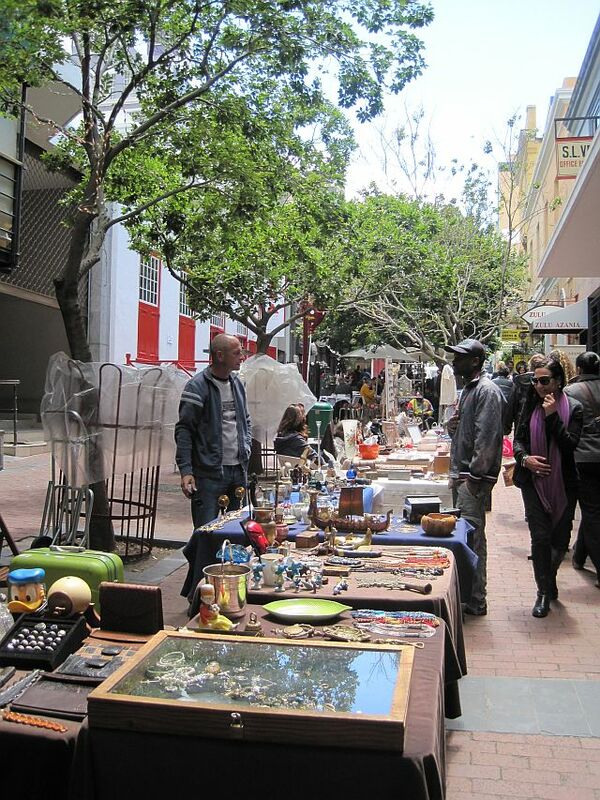 On Thursdays from midday through to late afternoon you will find the Earth Fair market in St Georges Mall. On Saturday mornings you can head to either the City Bowl Market in Hope Street. Or try the Neighbourgoods market in Woodstock. Get there early or you will find yourself elbow to elbow with people. My favourite deli, open every day of the week, is Giovanni’s Deli in Main Road Green Point. They make the very best coffee ever. And they have yummy foods like balsamic roasted onions, caprese salad, bean salads and more. The store is a treasure trove of culinary delights that I have never found anywhere else. Cape Town has a fully vegan restaurant called Plant. They have great food obvioulsy but also lots of well selected organic wines and craft beers as well as vegan foods like mayo or tempeh bacon for sale. Plant is located corner Buiten and Loops Street just off trendy Long Street in the inner city. Another vegan AND raw spot is raw and Roxy in Woodstock. A small place so don’t go bang in the middle of the midday lunch time. Get there a bit before or after lunch so you don’t wait too long. Also vegan and raw is The Happy Herbivore at the V & A Waterfront Food shed. Now for vegetarian friendly restaurants. Head to Wellness Warehouse in Kloof Street. The menu is not entirely vegetarian but they have a wide selection of veggies. All meat is organic or free-range. They have free wifi and plenty eco and green versions of all sorts of things as well. I love their superfood chocolate brownies with spinach. Divine I promise. Lola’s in Long Street has been around for ever. I used to be a regular until I had a really bad experience with a waitron. (Long horrible story, I will spare you.) They are no longer fully vegetarian. Check your bill very carefully.The other restaurant which was part of the family is around the corner in Bree Street. It’s called Zucchinis. While not entirely vegetarian, these next two sister restaurants have an amazing bargain lunch buffet. They charge per plate and not by weight. No one bats an eye if you pile your plate full and the food is to die for. Think sweet potato carpachio, oven roasted veggies and delicious raw salads. 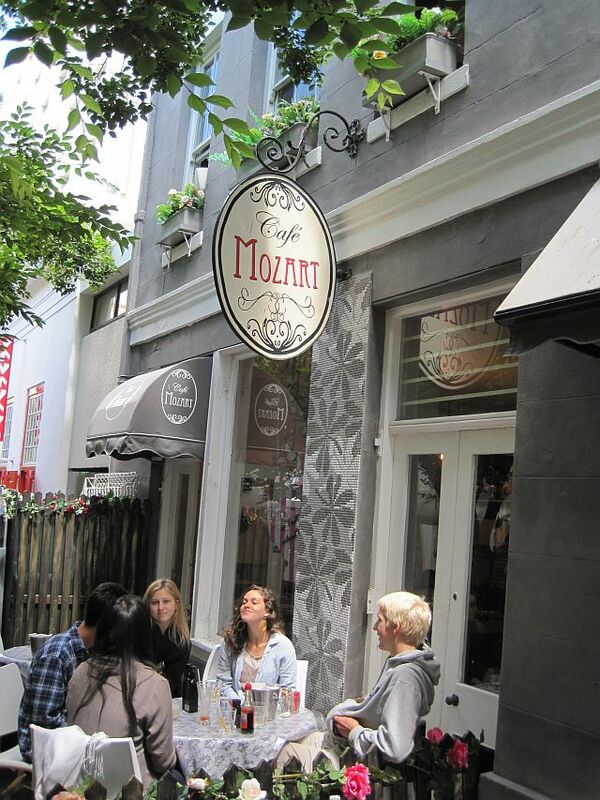 These two restaurants are Cafe Paradiso in Kloof Street and Cafe Mozart off Long Street. I am not wild about pizza and pastas. Usually too much white stodge with greasy sauces and not enough proper food. By proper food I mean vegetables and protein. However Andiamo in The Waterkant area in Green Point are not bad for a pizza/pasta place and they are well priced. I like that their vegetarian lasagne is full of veggies and I don’t walk away with heartburn. Colcacchio’s also do great pizza and yummy well presented salads. They do a quinoa salad and they have organic wine on the menu too! My favourite fast food chains, you can sit and eat if your legs need a rest, are Kauai, Osumo and Simply Asia. Kauai and Osumo have similar menus. Think salads, sandwiches, wraps, smoothies, fresh juices, herb teas and organic coffees. Check out their menus on-line. ﻿Simply Asia make Thai stir fries and they are also licensed so you can have a healthy glass of red wine with your meal. All three of these fast food eateries are easy on the wallet. Don’t forget to look out for healthy foods at local supermarkets. Most supermarkets in South Africa have a deli counter with fresh fruit and salads. Woolworths (a local sort of Marks & Spencer) have a fair selection or organic produce. Help yourself to the healthiest salads on offer. I always skip the rice and pasta salads. Sometimes I even find roast veggies at the warm food deli. I usually have veggies with humous or pestos and Ryvita cracker biscuits. A bag of nuts or dried fruit are also healthy options and will last all day in a back-pack. I avoid commercial fruit juices as they are too high in sugar. My preference is for individual fresh fruits and a bottle of water. You can always re-use the water bottle with water from the bathroom or your hotel. Cape Town is a beautiful city with majestic mountains, soft white beaches, vineyards, bustling vibrant night-life, top quality restaurants, shopping and an exchange rate that makes it all affordable. It’s the African Riviera. Average temperatures are around 26’C and you can enjoy 10 hours of sunshine a day in summer. You won’t have to contend with searing heat or cloying humidity. The climate allows you to comfortably enjoy many outdoor activities. The best time of the year to visit, is from September to April. Car hire and shuttle services are easily available and affordable. If you want to include a GPS, rather hire from the mobile phone companies than the car hire companies. Follow these links for more – road trips and getting about. Choose the MyCiti bus for your airport transfer. They are well priced, fast and easy to use – airport transfer. You are likely to experience a typical warm and friendly welcome right from the start of your trip. South Africans are known for their friendliness so don’t be surprised if they chat to you as if they know you. The standard of food and accommodation in South Africa is good. 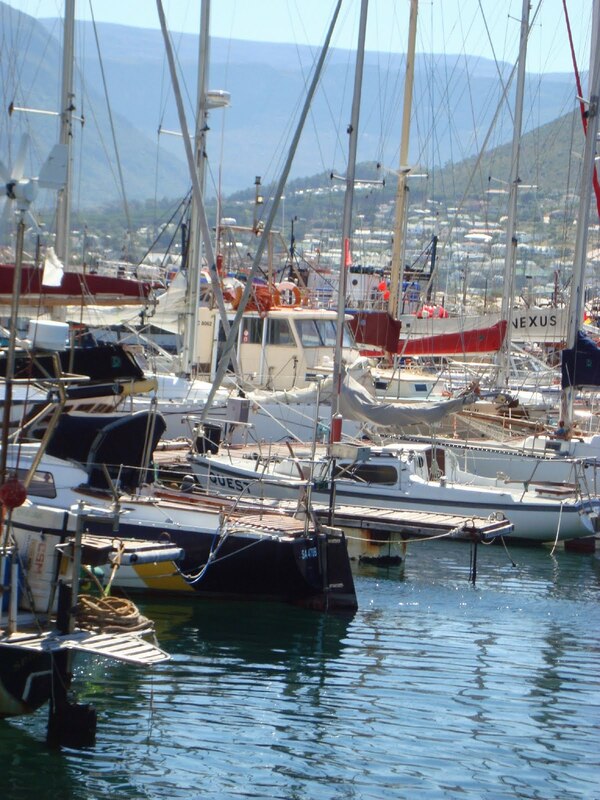 Click on this link for a feature on accomodation – Cape Town accomodation. It’s ideal to base yourself in the City Bowl or Atlantic Seaboard as the best selection of beaches; restaurants and shopping are all in or near the city area. Getting around the city is a breeze in a Rikki, which is a vibrant coloured, well priced, London style cab, read more here – Rikkis cabs. Avoid mini bus taxi’s unless you are with someone who knows them and their routines well. Eating out is diverse from high end and classy to fun and funky. Check out the Eat Out and Dining Out websites if you need ideas. And if you can’t bear to move after a long day on your feet then why not let Mr Delivery bring restaurant food to you. To plan your days wisely, first visit the city tourism offices. 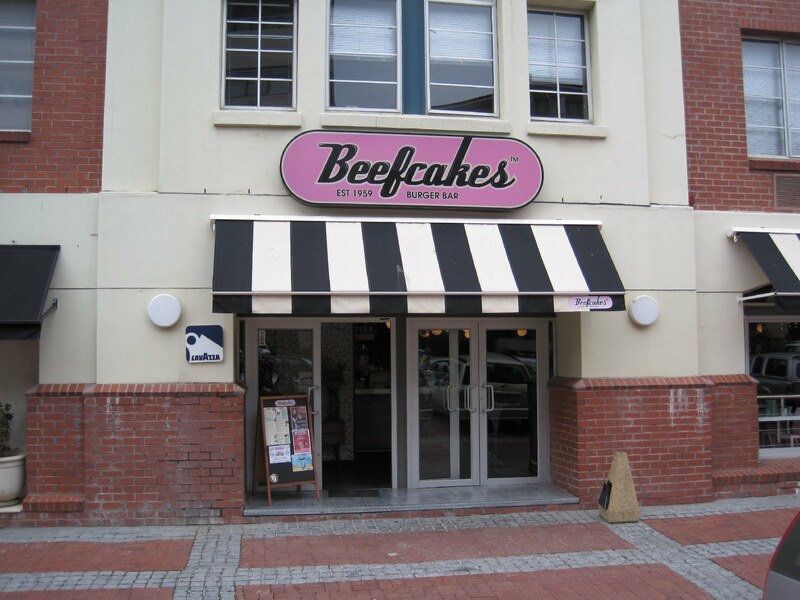 You will find one on the corner of Bree Street and Castle Street in the city and the other tourism office can be located at The Clock Tower Gallery in The Waterfront. A Cape Town version of Time Out Cape Town magazine is also a handy source of information. There is so much to do that it would be advisable to allow a good few days in Cape Town. The big advantage of the favourable exchange rate is that you can also including a spa day to make your stay that extra bit special. See more here – spa break in Cape Town. If you are after more action then you could try shark cage diving or for something authentic try a township tour. See – Mzolis. Do check the weather as the cable car and ferry don’t go out in rough weather but that seldom happens. 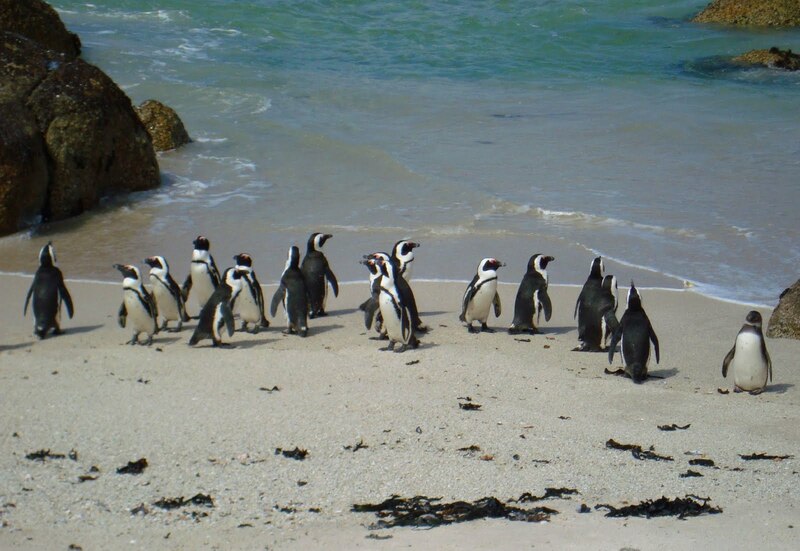 Follow this link for more links to outdoor activities – what to do outdoors in Cape Town. Alcohol is not available for sale after hours and on Sundays in South Africa unless at a venue with a shebeen license. Not all petrol vendors accept credit cards, so make sure you have cash for the payment. Table Mountain is a world heritage site with over 22 000 species of “fynbos” and unique fauna. You can walk up or you take the rotating cable car but make sure you get in the queue early and dress warmly. There are a number of walks on and around Table Mountain, some of which are only for the fit and adventurous. The cable car is half price after 18.00 pm and you may want to take a picnic basket and watch the setting sun over the city. At night the city lights twinkle from the mountain. For links to hikes and walks go here – day walks in Cape Town and walking on Table Mountain. You could end your day on the beach with a sunset picnic. Camps Bay beach and Clifton’s coves, called 1st, 2nd, 3rd and 4th beaches, lie on the other side of the mountain. If you are after a cocktail there are stylish cafes and bars where beautiful people show themselves off opposite Camps Bay beach. The local nudie beach is called Sandy Bay and is further out in Llandudno. No alcohol is permitted on public beaches. Long Street area has a host of restaurants, funky fashion boutiques, vintage clothing stores, curio shops and vendors of tourist items such as scooters and bicycles. 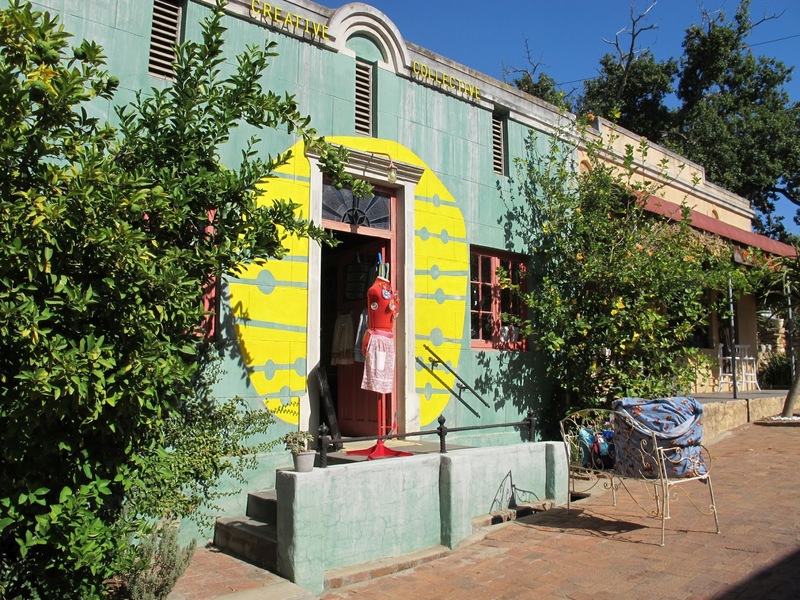 Take time to wander about the museums amid the original Cape Dutch architecture. At the end are the old public swimming baths and following on with the road up Kloof Street is more of the same. Do visit Wellness Warehouse at The Palms shopping centre. Wellness Warehouse is a shrine to all things organic and their buffet meals and fresh juices are sublime. Visit their website here – Wellness warehouse. At night you will find clubs, pubs, live music and stand-up comedy on Long Street. The gay nightlife is in the Waterkant and Green Point areas. Also known as the pink district. Here are more links you may find helpful for your visit to Cape Town – uncover the Cape, Cape Town info, Cape venues, tourism Cape Town, Lonely Planet and about Cape Town. Click here to go to Cape Town Part 2.